Farm fresh flowers you arrange with tips from us. 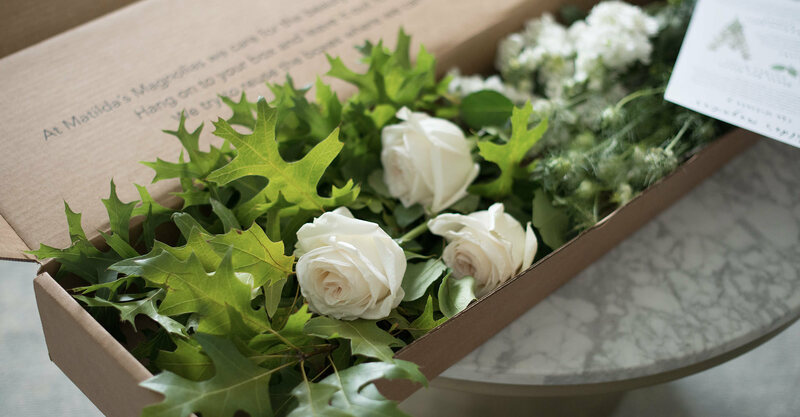 Surprise that someone special with a fabulous Bloombox gift! Please complete this section before moving on. Where are the flowers going? We currently only deliver to the Bay Area. Enter City and ZIP to confirm we deliver there. What type of delivery do you want? How many Bloombox deliveries do you want to buy? This is the delivery date. The vase of all vases. Perfect neck size (not too narrow, not too wide). It’s mid size height works for any of our Bloombox creations and the hexagonal lines give the perfect “grid” like structure to enable you to rest greenery & branches so they don’t wobble out. Perfecto! Delicious Compartes deep dark chocolate studded with all natural strawberries, raspberries and blueberries. Hand studded at their LA chocolate kitchen. Please complete your billing information and place order.